Editor’s note: This column is part of our Best Stocks for 2017 contest. The public pick for the contest is Amazon.com, Inc. (NASDAQ:AMZN). We’re heading into the final quarter of 2017, and Amazon.com, Inc. (NASDAQ:AMZN) — the readers’ choice for InvestorPlace’s Best Stocks of 2017 contest — continues to sit on nearly 27% gains on the year. Compare that to about 12% for the S&P 500 index at large. But it hasn’t been all good news for Amazon stock. Since pushing past the $1,000 mark in June, it has more or less wobbled around that price. But while the overall returns since June have averaged out to “pretty quiet,” that doesn’t mean AMZN has been resting on its laurels. Rather, the indecision may reflect investor uncertainty about some of its more recent moves. For starters, there was the agreement to buy Whole Foods in a $13.7 billion deal, announced in the second quarter and finalized on Aug. 26 when the Federal Trade Commission gave the official OK. While people have debated how useful Whole Foods will be to Amazon, there’s no denying the company seems to have big plans for the grocery store chain. They’ve already slashed prices and tied the stores more closely into AMZN’s ecosystem. Also, Amazon announced in July that it had entered an agreement with Sears Holding Corp (NASDAQ:SHLD) to sell Kenmore appliances. If investors were already feeling antsy, their sentiment toward AMZN stock probably wasn’t helped by the release of its second-quarter earnings report, which beat on revenue of $37.96 billion, but missed — hard — on earnings. Analysts looking for $1.42-per-share were startled by actual earnings of only 40 cents, a drop of over 77% from $1.78 in the same quarter last year. The stock was back under the $1,000 level a couple days later, and it hasn’t recovered. So is Amazon stock done? No, obviously not. It’s still a massive company that continues to push out or disrupt established companies. AMZN leadership must also be feeling pretty confident, since they’re looking to set up a second headquarters, which will bring with it up to 50,000 white-collar jobs. Everyone has an opinion on which city could get it (or which ones definitely shouldn’t), but the fact that it’s coming at all is a sign of strength from Amazon. And let’s not forget that this is the final quarter of the year — the time when materialism and consumerism get wrapped up in pretty holiday wrapping paper. With Black Friday still to come, it’s a high holy time for AMZN. The bankruptcy of Toys ‘R Us may not help — after all, the stores are staying open for now — but the possibility that more parents might visit Amazon instead of brick-and-mortar to shop for their children’s favorite toys is certainly looming. Time will tell of course, but for now AMZN stock still has plenty of potential to keep growing into the end of the year. Will it win the contest? It would need to put in some serious work to catch up with leader Nvidia Corporation (NASDAQ:NVDA), but never say never. Keep an eye out for Amazon’s earnings in late October — the impact of Whole Foods should be felt, and that might help the market decide which direction it wants the stock to go next. 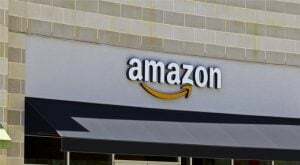 Article printed from InvestorPlace Media, https://investorplace.com/2017/09/amazon-com-inc-amzn-stock-deliver/.